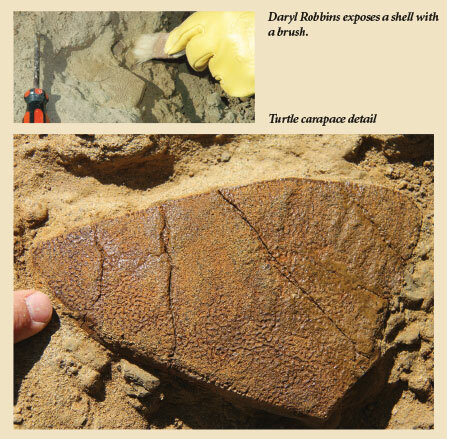 This summer, Institute for Creation Research IT expert Daryl Robbins and I participated in a dinosaur dig near Glendive, Montana. Volunteers from the Glendive Dinosaur and Fossil Museum helped the effort on a stretch of private Badlands property, and for three days we worked with about a dozen other creation advocates, including Harry Nibourg, Vance Nelson, and Gary and Mary Parker.1 During our adventure, we photographed and sometimes even handled rocks and fossils that confirmed the reality of Noah’s Flood. As we drove home, Daryl and I discussed our time in the field, agreeing on which aspects of the experience we did and did not expect. One thing we expected was the heat—well over ninety degrees each day. Even though we live in North Texas where summer temperatures soar into the triple digits, we spend most of our time inside air-conditioned places. So, for the dig, we equipped ourselves with plenty of water. We had hoped to discover dinosaur bones buried in rock layers, and the Lord blessed us with that and more. Daryl excavated a tail vertebra from a yet-unidentified dinosaur. 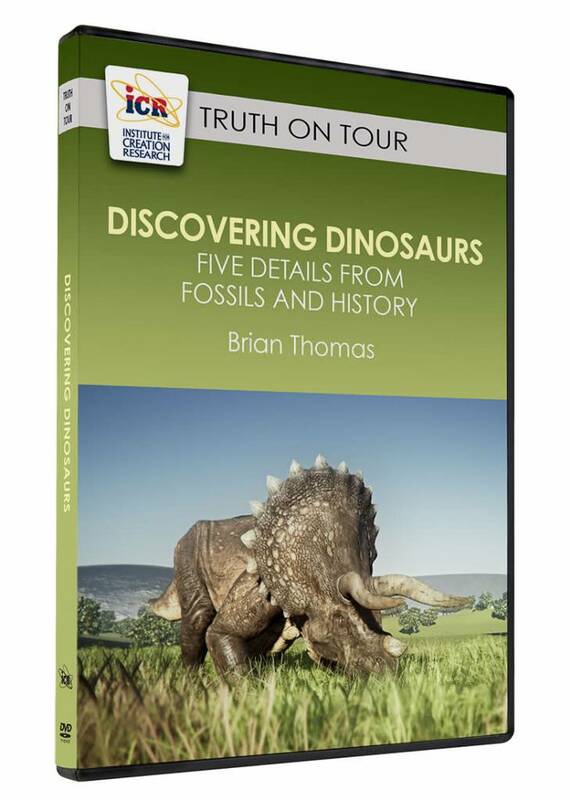 To identify the dinosaur kind that matches his bone, Daryl will begin by comparing it to various ceratopsian backbones since we were digging in the Hell Creek Formation known to hold many Triceratops remains. The same rock formation holds worldwide fame for dinosaur remains that contain original blood vessels and cells. For this reason, I am far more interested in discovering whether or not the dinosaur bone fragment I collected still holds dinosaur proteins than I am in identifying which dinosaur kind unwittingly donated its body part to my research. Experiments clearly demonstrate that even the most resilient original-bone tissue should not last a million years. If we discover proteins in my bone—as secular scientists have already described finding in their specimens from this same formation—I will verify the accuracy of their observations and again confirm that these fossils and rocks appear thousands, not millions, of years old. Thinking about dinosaur-bone proteins reminds me of something that neither Daryl nor I expected. We came prepared to dig through hard, dry, rocky material. Instead, every time we speared the Hell Creek material with a screwdriver, sand sloughed off with relative ease. Years ago, I extracted a fossil from hard Texas limestone with exceeding difficulty. However, in Montana fossils can be exposed with little more effort than it takes to dig a sandcastle moat at the beach. This ease was due to another surprising aspect of our dig, which was the wetness of the material surrounding our fossils—even six feet below the surface. Sagebrush grew above our digging and brushing area, sending its roots all the way down to the fossil-rich zone. The roots extract water from such depths, as well as vital nutrients supplied by decaying fossil bones and wood. How many millennia of plant root penetration would it take to completely remove all trace of these fossils from their damp sedimentary surroundings? The museum officially owns all dig finds, but unless someone extracts a very remarkable fossil, the museum’s kind managers let diggers keep their discoveries. So we placed our newfound fossils inside plastic bags. When exposed to sunlight, water immediately condensed inside the bags, showing that the fossils held some water. How on Earth could original tissues have lasted for 67 million years while in these wet conditions? Of all the specimens we uncovered, only the dinosaurs have gone extinct. Why didn’t tens of millions of years of evolution make any significant transformations to so many easily recognizable organisms? Daryl and I saw evidence of creation according to kinds, with no evolutionary advances or retreats (except for the unhelpful extinctions) in life forms. We also saw no evidence for deep time in these fragile fossils but rather evidence for recent widespread flooding. What a joy it was to dig dinosaur and other fossils with people who apply God’s Word not only to their personal lives but also to the rocks—rocks that speak to us today. Harry Nibourg built and owns Big Valley Creation Science Museum in Alberta, Canada. Vance Nelson is the director of Creation Truth Ministries in Alberta. 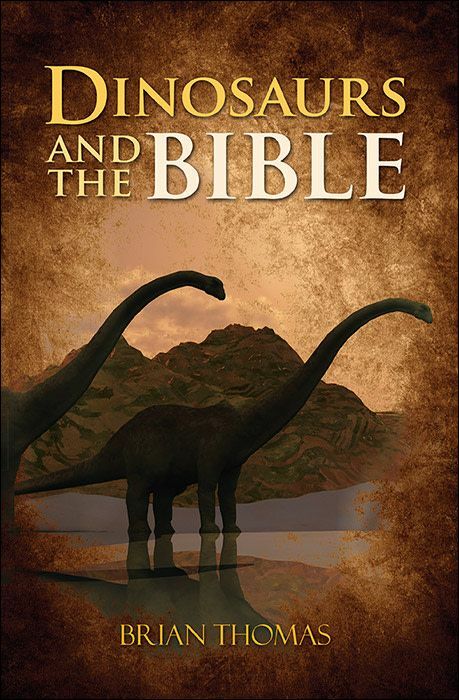 Gary and Mary Parker are co-founders of the Creation Adventures Museum in Arcadia, Florida. Cite this article: Brian Thomas, Ph.D. 2014. 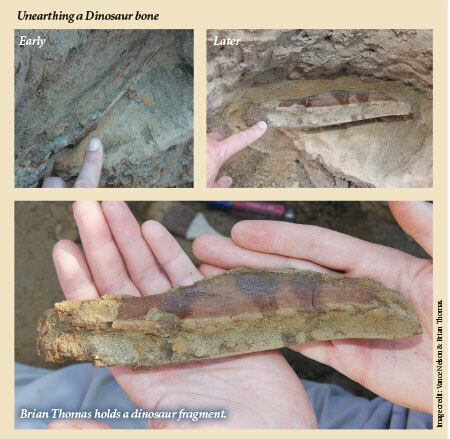 What's It Like to Dig for Dinosaur Bones?. Acts & Facts. 43 (10).